Our cherries are usually ready for picking in the first week of November, but each season is different. Keep in touch with us on our website and facebook so there are no disappointments. Weather can influence things dramatically, so please be sure to check before you come up. 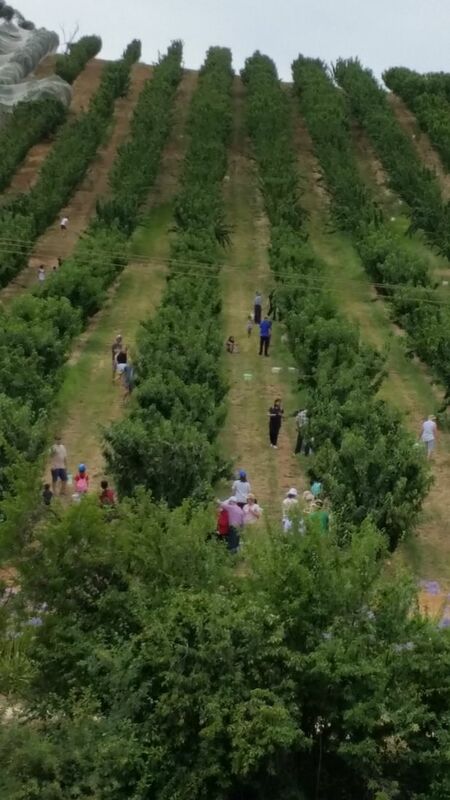 It is also better to come earlier in the day as the orchard is less busy and the fruit closest to the sheds will go first. We are open every day of the season, except for Christmas day, 9-5pm. We cannot always guarantee that there will be fruit to pick on a given day as each variety has a different ripening period. We will still have direct fruit sales available and our café is always open to enjoy. Please check our Facebook page for any updates. 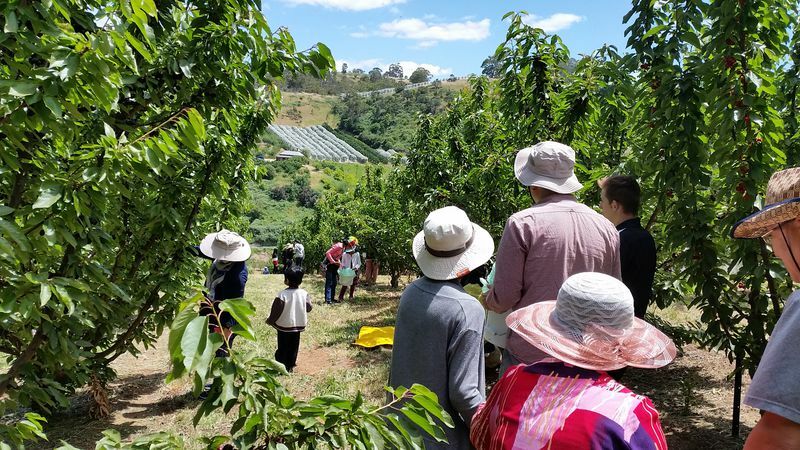 Lennane Orchards is only 4km from the suburbs. Follow Montacute Rd past Maryvale Rd at Athelstone, into the hills. When you reach the Montacute post office and post box, continue along Montacute Rd for a further 200m, and take the first driveway on the right after the Country Fire Service.